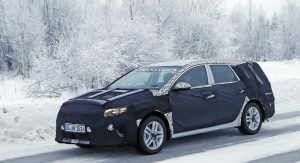 Kia has been spotted working on the upcoming plug-in hybrid Ceed Sportswagon, which will be the first variant of the Korean compact model to receive the new powertrain. 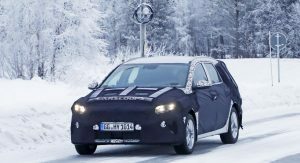 Speaking of which, Kia is expected to use the same plug-in hybrid powertrain with the Hyundai Kona, which is also currently under development, and the Niro PHEV. 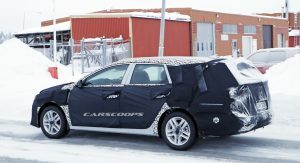 It will reportedly combine a 139hp 1.6-liter four-cylinder petrol with a 79hp electric motor (59kW) and a compact 8.4kWh battery pack. A six-speed dual-clutch automatic transmission will be the only option. 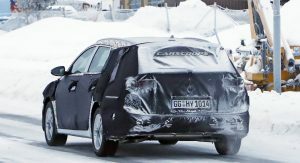 The styling of the electrified Ceed Sportswagon will be slightly different from its regular siblings as a nod to its greener credentials; expect to see a slightly different front grille, aerodynamically optimized alloy wheels and lots of blue detailing inside and out. 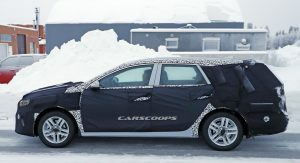 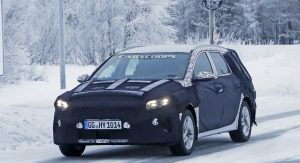 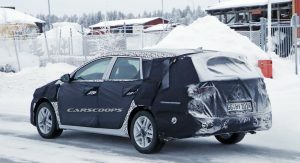 The heavy covers of the test car might have to do with Kia wanting to hide the location of the charging port, as well as any bigger design changes on the front and rear of the car. 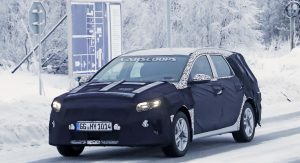 Interior revisions will be minimal; the plug-in hybrid model will most likely get specific trim colors and a larger display for the infotainment system, similar to that of the Hyundai Kona Hybrid. 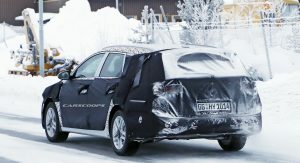 Normal petrol models offer 600lt of luggage capacity, with the plug-in hybrid version expected to slightly steal some of that space for the battery pack. 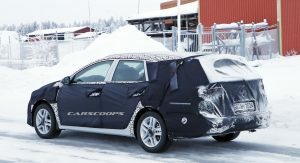 Offering just the Ceed Sportswagon with the plug-in hybrid powertrain is Kia’s way of testing the market before deciding whether to add the option to the other available bodystyles -namely the five-door hatchback and the five-door ProCeed shooting brake. 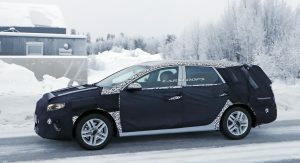 Once launched, the electrified Ceed will go against rivals like the Corolla Touring Sports, which will be available with two self-charging hybrid powertrains. 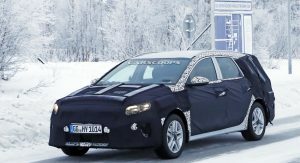 Production of the new Ceed Sportswagon PHEV will take place at Kia’s factory in Slovakia, making it the company’s first plug-in hybrid model to be built in Europe. 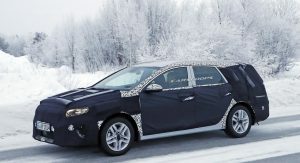 Kia is expected to debut the new plug-in hybrid Ceed Sportswagon at the Frankfurt Motor Show this September. 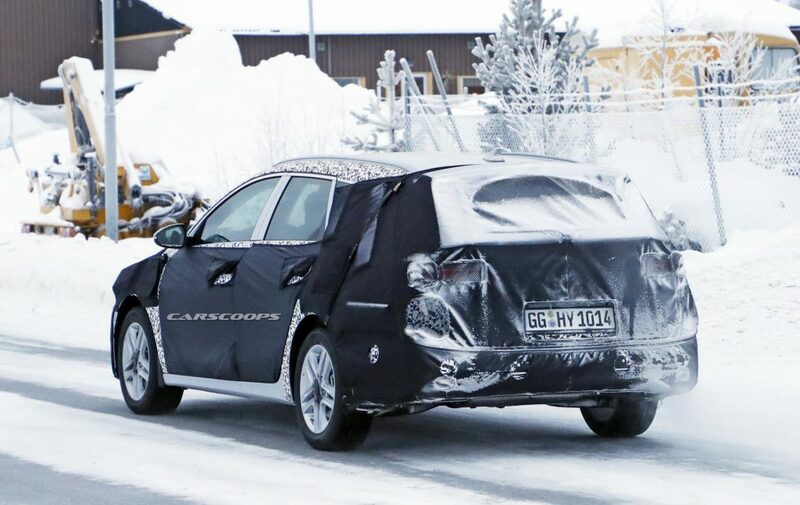 I love the look and functionality of this car. 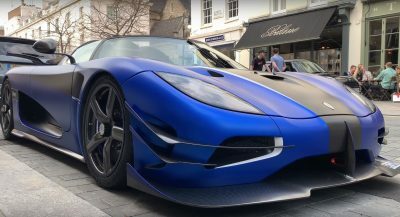 Add a hybrid power train and I’m sold on this as my future family vehicle for me. 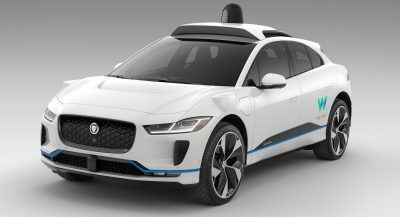 Sad, it’s just not available in my region.